This chapter examines the emerging ethical challenges raised by implementation of nanotechnology in brain devices for enhancement purposes in subjects with healthy brains. This chapter will proceed in five steps. The first section introduces brain implants and discusses how their status may be changed by nanotechnologies for enhancement purposes. 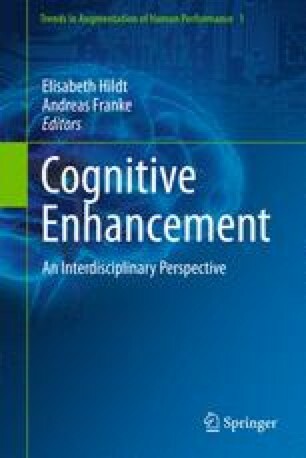 The second section explores whether the ethics of nano-bionic devices for cognitive enhancement purposes in healthy, informed subjects might be helped by referring to the treatment-enhancement distinction. Such a distinction could serve to illuminate guidelines and policies. The third section examines whether the designs for nano-bionic devices for cognitive enhancement raise a number of intrinsically new ethical problems if applied to healthy subjects. The fourth section looks at whether nano-bionic devices used for the purpose of enhancement introduce novel ethical difficulties to the informed consent of healthy and free subjects. The fifth section sketches the preliminary ethics that have to be established before a healthy individual could undergo an informed consent process for invasive nano-bionics brain intervention. This research was funded by the Australian Centre of Excellence for Electromaterials Science (ACES). Thanks to Susan Dodds, Eliza Goddard and Timothy Krahn.